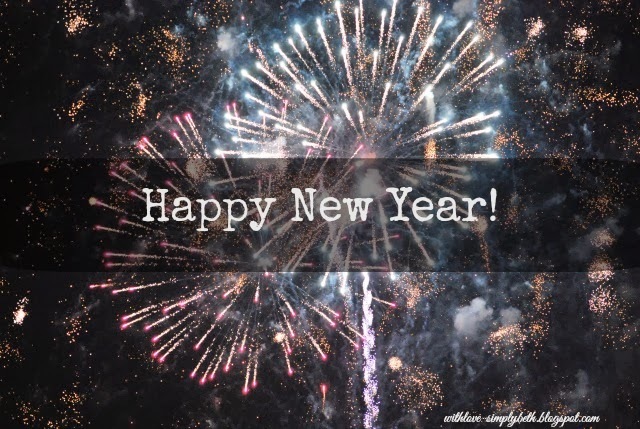 Simply Beth: Three Word Wednesday: Happy New Year! Here we are -- it's January 1, 2014! Admittedly, there were a few times I wished we could skip over this year. It sounded like a good year to hibernate. Surprisingly though, God has me rather excited about the New Year. Why would I be excited about a year without my husband? Sure, there are days when getting out of bed takes a bit longer because my heart aches for my husband, but I don't give up. Instead, I hold on a little tighter to God. Words said by my pastor have stuck with me, "It's never ever worth it to let go of God." Every day I wake I'm reminded I have the choice to either stay in bed or get up and hold on to the One I can put my faith and trust in. He makes life worth living. He makes it worth getting out of bed! Another military wife, who I am grateful to take this journey with, shared on her Facebook page a quote from the book Tour of Duty by Sara Horn, "Life is full of ups and downs, but God stands over it all." Can I get an Amen? The past couple of years I've switched from making a resolution for the new year to choosing one word to live and breathe by for the year. When I chose the word embrace for 2013 it started with the purpose of embracing who I am in Christ. As I reflect back on the year, it appears God had other plans for me. I believe choosing the word embrace was more about surrendering to His loving embrace. The past year was truly a year of growing closer to God. He was preparing me for the coming year without my husband. When I come close to God, He makes life worth living. He makes my heart leap for joy. Don't get me wrong; I miss my husband immensely. I'm counting down the days until he returns home. Until that day, I know God wants me to experience joy. And there has not been a single day since my husband left where He has not made my heart leap for joy. I have two primary goals for 2014. The first goal is to read through the entire Bible. This will be a first for me. I will be joining Tricia Goyer, and many other women, using the Women’s Guide to Reading the Bible through in a Year for this journey. I need my days to be filled with more and more of Him. I need Him to get through the coming year. My second goal is to keep counting my blessings. I will keep on counting the reasons He makes my heart leap for joy. Instead of hibernating through 2014, my eyes and heart are opened to experience the joy He has planned for me. Remember, our God does only good things. There will be plenty of ups and downs but His presence will go with me. He'll see this journey to the end (Exodus 33:14). May you allow Him to infuse your lives with an abundance of JOY. I'm joining these lovely link-ups: Circles of Faith, Word Filled Wednesday, UNITE, #TellHisStory and Thought Provoking Thursday. I'm so excited for this year. I am so passionate about staying focused on God this year. I am going to start counting my blessings again. What day do you post yours? Love and hugs! I am passionate about this same focus for this year, Barbie! And looking forward to the encouragement we can all be to one another! I'm so glad we have similar goals this year, Barbie. I believe my plan will be to continue to share my blessings on my Friday Randomness post. I'm still thinking that through. How about you? When you mentioned JOY it stopped me in my tracks. What a great word for this year. I was just having a chat with the Lord yesterday about joy. I feel like some of my joy is gone. Ever since the fall, I have been in some type of weird place. I am happy to have a fresh start. God bless you richly this year Beth! Beth, I will be praying this is a JOY-filled year for you. It's a new year and new beginnings. I love that His mercies are new every morning. May God also richly bless you. Beth, Joy is a great word as it not only affects you but spills out onto those around you. It is infectious! May this be the year that He "infects" many in & through you, my friend! Love & Hugs & blessing upon blessings in 2014! Oh I hope so, Joanne. I want the the Joy he fills me with to overflow and "infect" many. All for His glory! What a hope filled, joyful post; perfect to begin 2014. Recently, I have been reflecting on joy more and more. God blessed me with the name Joy as my middle name, and I'm sure it's there to remind me that my greatest joy is found in Him. I pray every blessing upon you and your family. Amen! What a beautiful middle name. My daughter-in-law's name is Joy and she just loved that this was my one word for the year. I will be praying for us both as we begin our journey of reading through the Bible. I see God's joy in you every time I come here, Beth. Just imagine the work He is going to continue to do in you and through you this year. Glad to be on the journey with you, friend! Oh thank you so much, Holly. Your sweet comment brought a big smile to my face. I'm so grateful to walk this new year together. I can't wait to see what God does in each of our lives. Your words are always such sweet encouragement. Happy new year, friend! Thank you, Kristin. Happy New Year to you too! "Joy"! That is a great word! I have discovered that happiness is dependent on our circumstances, but JOY happens in spite of them. We do have so much to be joyful for...God being at the top of the list! No matter what may be going on in our lives, He is forever constant and faithful. Blessings to you, Beth. I'm so glad to have met you over these past few weeks and look forward to a joyful year getting to know you better! Me too, Joan. I'm so grateful for our new friendship and look forward to it growing over this next year. Such wise words you shared too..."happiness is dependent on our circumstances, but JOY happens in spite of them." So good! "I believe choosing the word embrace was more about surrendering to His loving embrace." Amen, Beth. When we're too weak and broken to hold on to Him, He never loses hold of us. I'm so grateful for his constant embrace. I couldn't do life without Him and I'm so glad I don't need to try to. Beth, what an awesome jump start to 2014. I hope you'll share your "joy lessons" this year. As someone already pointed out, the line between happiness and joy gets fuzzy. We grow when we know...the Word, that is, which instructs us on these concepts. But I think the best take-away from your post...and the visitor comments, too...is that God abides with us, that he's personal, sustaining, and beckoning, and that he's the friend that sticks closer than a brother. Thanks for the many ways you've blessed us with your faith journey, Beth! Happy New Year, Diane! Thank you for your kind words. Loved this... "he's the friend that sticks closer than a brother!" Amen! Thanks for taking this journey with me. Grateful for you. Hi Beth- I love the idea of this linkup! I will have to come back when I am able to join in. It's kind of a crazy day today :). This is my first time here and I want to start by telling you how thankful I am to military families such as yours. Not only do you have a wonderful husband who is helping us keep our freedom, but you are an amazing woman to keep your home and family in order while he is away. Looking forward to getting to know you better! Happy New Year!! I hope you come back and join us for the link-up. Three Word Wednesday has become a beautiful family of writers. Thank you for your kind words. I'm grateful to have connected in this blogging world. Happy New Year!! What a great attitude you have, it's contagious :) I think I may join you in reading through the Bible, it's not something I've done yet and would really like to. Come join us, Alecia. I'm super excited and really praying I keep up with this. The time in His word is so needed! Happy new year Beth. What a delightful read and reminder that whenever we find ourselves we can still experience moments of joy right we are. I read through the Bible one year and what a eye opener it was for me. I'm hoping to get back center this year. Happy New Year, Wanda! So good to see you. I need to come by and catch up with you. I hope your Christmas. i'm adding your blog to my Feedly blog reader so I can enjoy the joy-filled journey God has us both on in 2014! I look forward to taking the joy-filled journey together. Happy New Year, Elizabeth. Beth, how I enjoyed this post! Wishing you a very Happy New Year, and I look forward to sharing our faith journeys in the coming year. I love your word for 2014 - and I believe that God has much to say about the concept of JOY, and how it plays out in our often less-than-joyful circumstances. I will look forward to reading your precious thoughts. Thank you, Jennifer. I'm so grateful to have connected with you in this beautiful blogging world. I pray one day we are able to meet. One of these days I will get myself to a blogging conference. :) Thank you for all your love and support. You already exude JOY in your words Beth. 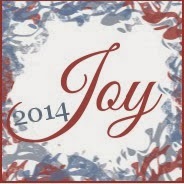 Praying you find a renewal of joy in 2014. I'm expectant! You are so sweet, Shelly. THANK YOU! Happy New Year! Much Joy to you as you continue to draw near to Him! "The joy of the Lord is my strength." Much JOY to you too, Rebekah. God bless. I love you sweet friend and have been praying for you. Let's catch up on the phone SOON. I will be stopping by tonight to read your newest post...loved having it appear in my inbox again! I've missed you but so understand the need to step away from writing. You are such an inspiration, Beth! I appreciate your positive perspective, your search for joy daily. And how even with your husband away, you are leaning into God and not wallowing. Your outlook is contagious. I can only hope that I would be a strong and courageous if I were in your shoes. Leaning into Him is the only way I know how to get through. Thanks for your kind words, Christy. Believing with you for JOY this year... I am so thankful for a God who brings JOY and true peace not matter what are circumstances are. Keep your eyes focused on Him! Love Love Love your goals. And your words is just joyful and fabulous!!! I think we need to make it a goal to hook up this year. Hmmmmm - wanna go to Guate again? A goal to meet up is a must! I so want to go to Guatemala with you too but September may be a difficult month for me. I'm in Hawaii the earlier part of the month (forgot that when I commented on Facebook) and my husband will hopefully be home Sept/Oct. Let's stay in touch. Maybe getting out to Texas will be an easier option. Love you!! Love how you pick a theme too. I need to think on that. Oh, I am equally blessed. Thank you so much for your prayers. Beth~this was such an uplifting post! So glad I stopped by. It's wonderful that the Lord is showing you on He is your joy, especially during this difficult time of your husband being deployed. I'm so happy you linked up with us, Janis. Hey sweet friend! So thankful for you and your words! have a blessed and happy new year! Happy New Year to you too, Ashley! Thanks for a great party, Beth. I can't imagine what the "military wife" life is like for you, Beth, but I'm excited about your word! JOY - it's my LIFE word - ha! I love everything about it - just saying it, just thinking it makes me feel better. I hope it is LIFE CHANGING for you in 2014!